2 weeks ago I headed down to Melbourne for the weekend. 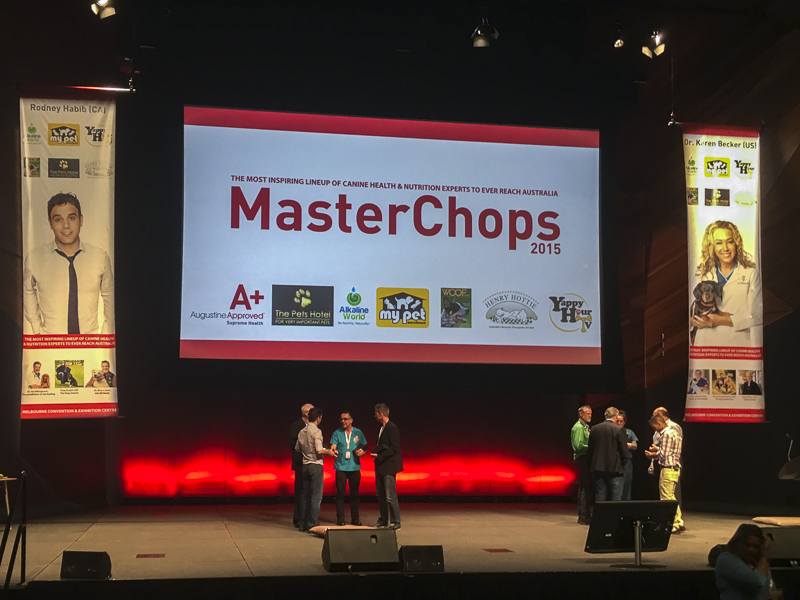 I went because there was this great event planned for dog parents & industry people on canine health & nutrition called MasterChops! 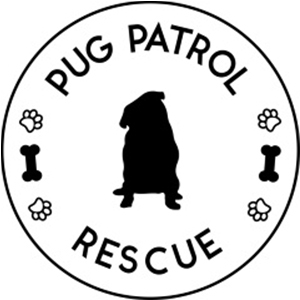 I had such a great day at the event and walked away with my mind exploding with information that is so useful for me as a pug mum to Ref but also that I can share with you. The day was filled with amazing canine health & nutrition experts like Rodney Habib from Canada, Dr Karen Becker from USA, Tony Knight from UK, Dr Bruce Syme from Victoria, Australia, Brian Borg from USA, Ross Wilson from Victoria, Australia, Dr Ian Billinghurt from NSW, Australia and all organised & hosted by Phivo Christodoulou of Augustine Approved. And every single one of these speakers jammed packed their talk with so much information that it left your head hurting but feeling so inspired to take your dog’s health & nutrition to the highest level you possibly can. Now there is so much health & nutrition info I could share with you right now from what you should and shouldn’t feed your dog, tips on vaccination and a bunch of stats that would scare you but there are 3 things that I walked away with that are far more important than all of that. 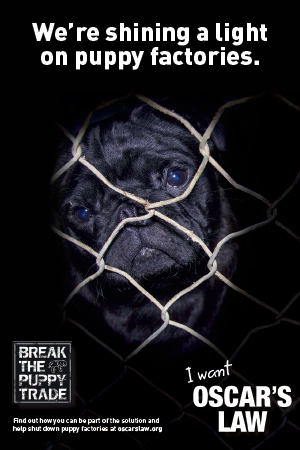 So I am sharing with you 3 things every pug owner must know… make that every dog owner must know. I’m not talking about religion or politics or ethically here. I’m talking about people you really should surround yourself with when it comes to your pugs health & nutrition. People who have the same belief system when it comes to how you feed and look after your pug. And we are talking about all professional services here. From vets to groomers and pet suppliers. You need to find the ones that line perfectly with what you want. If you are worried about over vaccinating your dog or the long term health repercussions of spaying/neutering your dog or the effects of anaesthesia for cleaning your dogs teeth or the health effects of feeding a kibble diet and you don’t have a vet who is answering the questions you ask or even respecting the decisions you do make, perhaps you need to find one who does. From my personal experience, and yours may be completely different, but I don’t particularly like going to a vet who looks down upon me for feeding Ref a completely raw diet even though he finally lost some weight once the kibble was no longer in his system. I want to be able to confidently and comfortably walk into the vet knowing that they support my decisions to do everything I truly believe is right for my boy. If you find that a pet supply store or supermarket only sells treats that are made full of preservatives or that says “not safe for human consumption”, stop and ask yourself these questions…. “Is this what I want to be feeding my dog? Is there somewhere that I can buy food that I could eat therefore is safe for my dog?” Then find those places. Find the ones that use human grade food only. The ones that match just exactly what you feel is best for your dog. It’s the same for any other products you get for your pets like shampoos, toys and even bedding. Over the last 5 years since Ref came into my life, the one thing I have never done is stopped learning about how I can give the boy a better, longer & healthier life. And I never will cause as the world evolves and more information comes to life, I will find more things that will create a better life for my boy or my future dogs. And definitely find those people who want and provide the same support and information you seek. People like Rodney Habib and Dr Karen Becker who put in all the hard work to make the lives of their pets better and share it with the rest of the world. Find those communities that embrace new information and not put you down cause you do something differently. Take their advice on board but do your research to know what is best for you and your dog in your current situation. But just keep learning cause your dog will thank you for it. Now I think this is the most important thing you could honestly do. No matter what information gets thrown your way, never stop asking questions especially if that information doesn’t sit right with you. Asking questions will make people dig deeper, find the problem and solve the problem, not mask the problem. Asking questions makes you proactive in your dogs life and not reactive. Asking questions gets you to the end result quicker and hopefully with the right outcome. Whether it is asking questions of yourself or of professionals, it is making you a better dog parent. You are taking the time, making the effort to work out what is best for your dog. Now since your dog can’t speak for themselves, you need to advocate for them. You need to do everything in your power to make their lives better and surrounding yourself with people who believe in the same things as you, who want to learn and share ways to create a better life for dogs and animals in general so you can keep learning and of course for you to stand up and ask the questions they can’t, be their voice so they can have a better life is definitely the way to go. It doesn’t matter what your circumstances are, as long as you are doing everything you possibly can to make their life the best it can be, that is what matters.